Pu-erh tea is one of the six types of tea produced from the leaves and leaf buds of Camellia sinensis, the tea plant. Whereas some tea experts claim it as an independent tea category, others consider it is part of the bigger tea group, called Hei Cha (Dark Teas). Unlike black, green, white or oolong tea, Pu-erh teas are fermented with the help of microbes, and can age, just like wine. Therefore Pu-erh teas are also referred to as post-fermented teas. All Pu-erh tea comes from Yunnan province and, apart from the manufacturing process, what also makes this tea different from most other Chinese teas is that it is made from the large-leaf tea variety, Camellia sinensis var. assamica, which grows as a native to Yunnan province. This subspecies is particularly suitable for the production of Pu-erh tea, and ages to develop a better flavour over time. 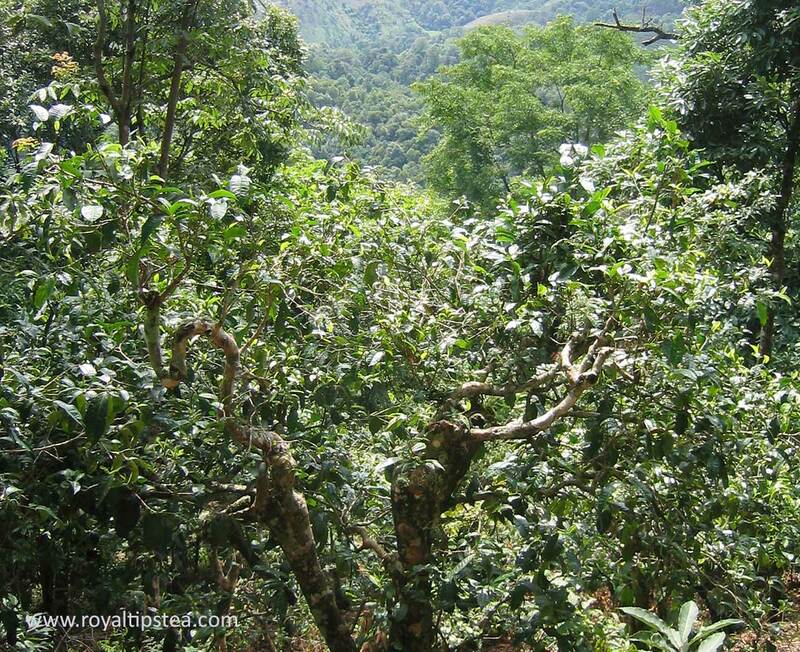 The tea plants in Yunnan area are trees rather than shrubs, some of them several hundred years old. 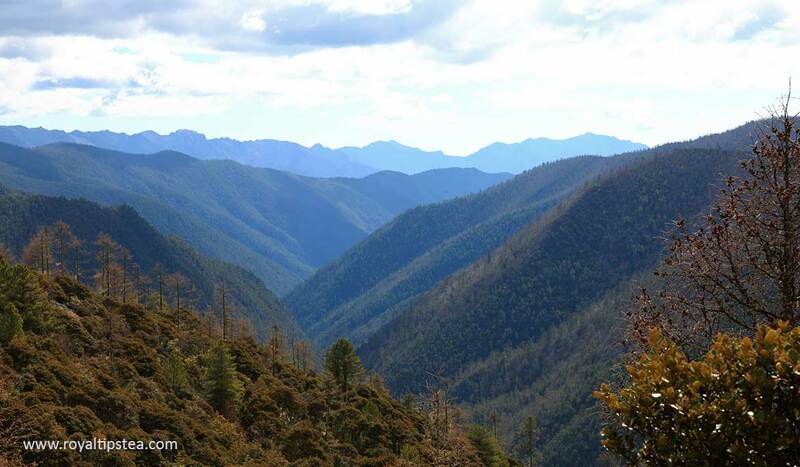 These ancient trees, often encountered in the middle of the forests of Yunnan with their vast biodiversity, are the best raw material for Pu-erh tea production. The roots of the old tea trees draw up the valuable nutrients from the forest ecosystem, and the cakes made from these trees are highly sought after for their complex layers of flavours. Pu-erh tea is produced exclusively in one of China’s tea growing provinces – Yunnan, situated in the southwest of the country. Although its popularity outside China skyrocketed at the very beginning of 21st century, it had been consumed by the Chinese for more than a millennium. The origin of Pu-erh tea traces its roots to as far back as the Ancient Tea Horse Road, when tea was one of the most important commodities traded with neighbouring countries and regions in the Himalayas. At that time, the tea was already being transported, in compressed form, from Yunnan to other places. 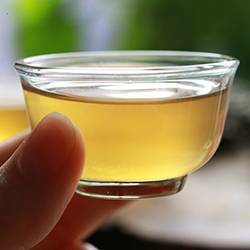 A natural fermentation took place in the tea due to the environmental conditions and the presence of bacteria and micro-flora in the leaves harvested from the wild tea trees that grow in the dense Yunnan rainforest. During the days of the Tang Dynasty (618 – 907), which consolidated China into a unified nation, the consumption of compressed tea had already reached al corners of the Empire. Amidst economic wealth and prosperity, a tea drinking tradition was refined and established as a tribute, or a tax burden, to be consumed by the Imperial Court. This was also the time when the first tea book, called “The classic of Tea” (Cha Jing) was written. Lu Yu, the author of this complete guide to the cultivation, manufacture and brewing of tea, travelled across China´s tea growing prefectures to identify the most important aspects of this healthy beverage, from the planting of the seeds to the utensils required to enhance the tea drinking experience. The popularity of tea was rising rapidly and increased both during the days of the Tang Dynasty and the Three Kingdoms period (220-280), with Buddhism playing an important role in improving tea cultivation and production techniques. At the same time, knowledge about tea´s beneficial properties was spreading and more and more people were drinking tea. Buddhist monks were fully supported by the local tribes and ethnic groups of the Nan Zhao kingdom, established during the Tang Dynasty in what is today Yunnan province. 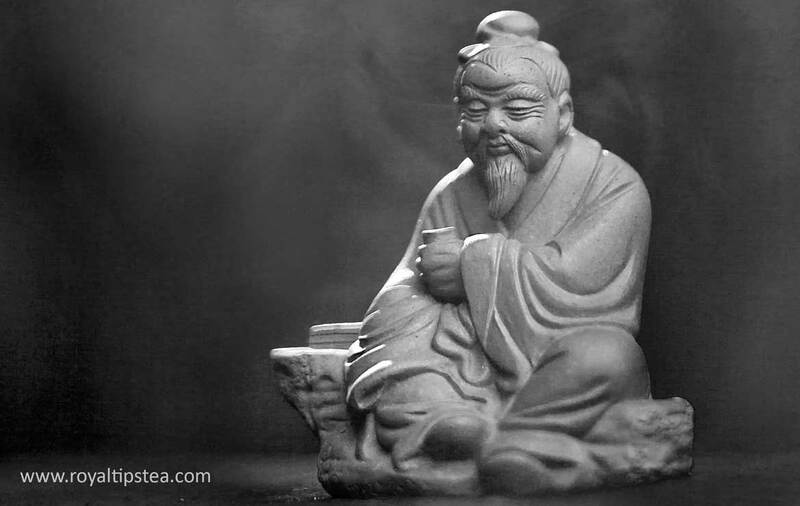 This close connection between Buddhism and the place where Pu-erh tea originated, attributed a special spiritual significance to the way of preparing and drinking tea, and this soon spread to other Buddhist monasteries throughout China. The Chinese Tea Ceremony, which originated in the pursuit of a harmonious way to clear the mind through meditation and to appreciate the true taste of tea, was of a great social and cultural significance, and remains to this day a fundamental element of Chinese Tea culture. The rise of military and naval power during the Song Dynasty (960-1279) led to a growing demand for munitions and military equipment, and control of the commercial activity along the Tea Horse Road was strategically important for the Empire. Tea, silk, salt and other commodities were transported to Tibet and exchanged for horses required for the Chinese army. This is why the ancient trade route earned the name by which it is still known. It was not until the Ming Dynasty (1368 – 1644) that the manufacture of compressed cake tea was prohibited by Chinese emperors, who, instead, gave preference to the finest loose leaf teas. Only the most exquisite teas made from tender unopened buds and the first young baby leaf of the tea plant picked in early spring could be sent to them as a tribute. This plucking standard (a bud and 1 leaf) is nowadays known as Imperial tea harvesting. The abolishment of cake tea by Ming Emperors did not mean that its production was completely stopped, and in Yunnan, the indigenous local tribes still continued to produce compressed tea both for personal consumption and for trade with Lhasa, the capital of Tibet. During the Qing Dynasty (1644-1911) some leading Pu-erh tea brands were established in Yiwu, a mountainous area famous for its high-quality hand-made Pu-erh teas, which were highly prized both in China and in Taiwan for their mellow flavour with fruity undertones and a sweet, flowery aftertaste. To make Pu-erh, the tea farmer plucks only the buds or young shoots consisting of tender buds and the first one or two young leaves. The initial process of Pu-erh tea manufacturing, which includes WITHERING and FIXING, resembles that of a green tea. The reason that Pu-erh tea starts as a green tea is because in China, at that time, all teas made were green teas. Then, in order to transport it and store it more easily, the tea was compressed. The only difference was that the tea was and still is dried in the sun and it is this longer natural drying process that allows any enzymes remaining in the leaf to cause slight oxidation and change the leaf from bright green, as with any green tea, to a slightly brown-green colour. So the base tea for puerh is simply a green tea made in exactly the same way as any other green tea but DRIED IN THE SUN instead of in a pan or wok. The fixing stage (in Chinese 殺青 sha qing, which means “fighting or killing the green”) is meant to de-enzyme and stop the oxidation in the tea leaf. However, when we pan the leaf in a wok or panning machine, it never kills off all the enzymes that allow oxidation to take place. In the processing of green teas, the entire process, including the final drying, is so fast (it only takes a couple of hours), that the enzymes that have not been killed don’t have time to cause oxidation. In the case of Pu-erh, the tea leaves are dried slowly in the shaded sunlight, and the left-over enzymes have much longer to cause slight oxidation. 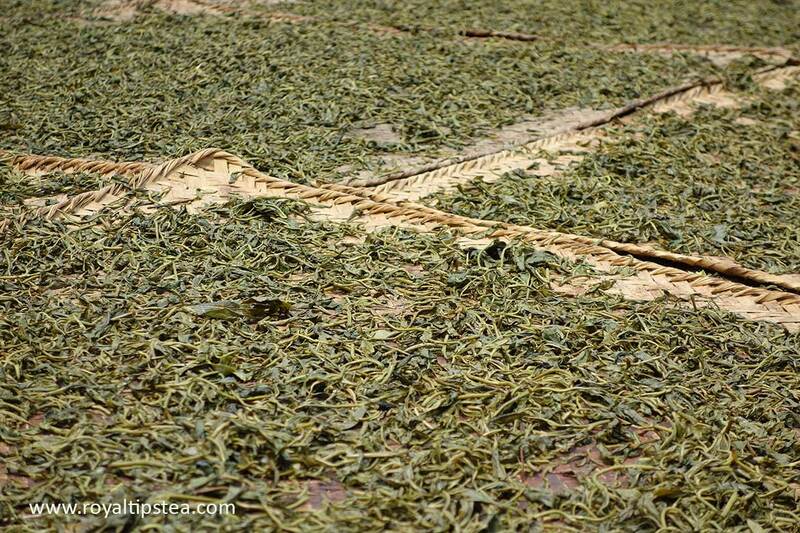 The sun drying process is characteristic of all Pu-erh teas. The tea master will check the moisture level by touching the tea leaves to determine if the tea is ready. Finally, any broken or unsuitable, damaged dry leaves are removed. The obtained tea leaves are called maocha (young, raw tea) or loose leaf Pu-erh tea. 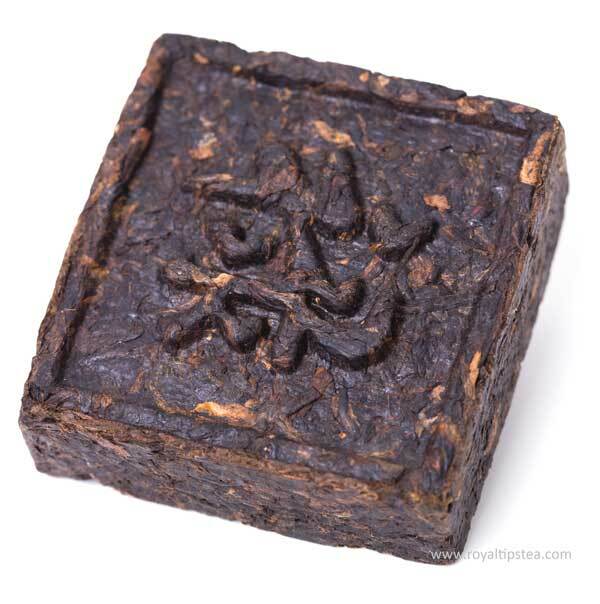 Although this is still an intermediate base product for making Pu-erh cakes, it can be sold, prepared and drunk as a loose tea, in the exact same was as any other tea. To produce Pu-erh cake, also called ”Bing Cha”, the tea still needs to go through a series of steps. 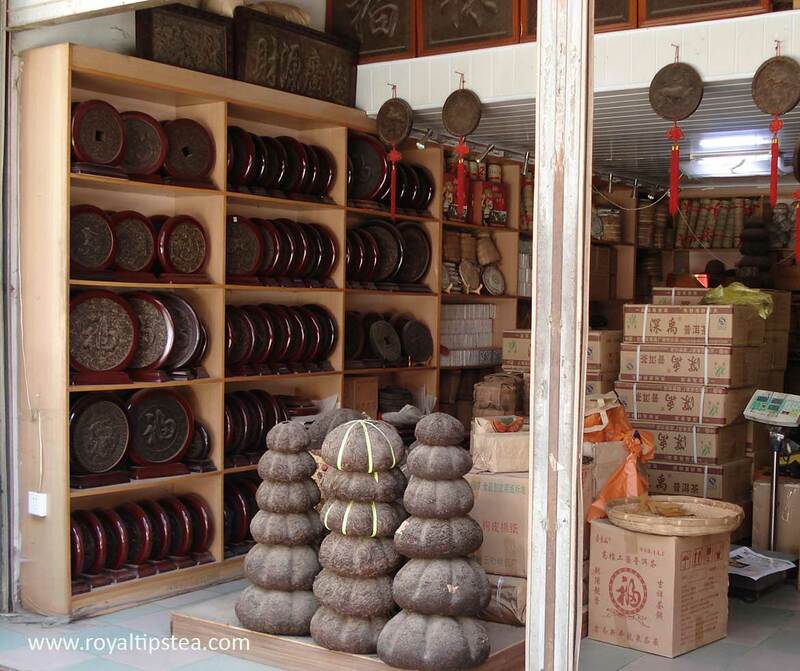 If there are no pressing facilities inside the farmer´s premises, he will takes the maocha to one of the tea factories in Yunnan, to make the compressed cakes. First the maocha is put into a metal cylindrical mould with a perforated base so that steam can be passed through the tea. This softens and dampens the leaf and makes it more elastic allowing further shaping and compressing without breaking the leaf structure, which should remain whole and intact. 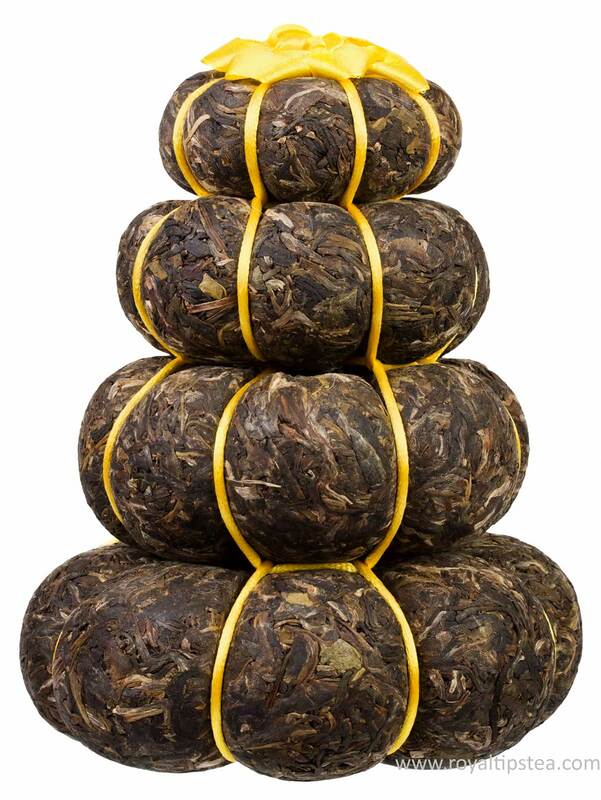 The standard weight of a traditional Pu-erh cake is precisely 357 g, but cakes of any size can be made. The tea maker weighs the appropriate quantity of dry loose leaf maocha before steaming the leaves. A small piece of paper called a “neifei” (内飞), which indicates the brand name and the year of production, is placed amongst the tea leaves. In the finished cake the slightly yellowed label is interlaced with the strips of dried tea shoots, and this allows buyers to distinguish authentic Pu-erh teas from counterfeit ones. Once the loose tea leaves are dampened and humid, a cotton bag is placed over the top of the metal cylindrical container and then turned upside down so that the soft leaves fall into the bag. The tea is then worked down into the bottom of the bag to form a flat cake, and the twisted, empty upper part of the bag is used to pressed down on the tea, making the characteristic depression in the centre of the cake. As soon as the cake shape is formed, it is put under a very heavy stone (usually weighting more than 30 kilos), and one of the factory workers stands on the stone and uses his body weight to compress the cake into a completely round disc. Under the heavy stone the cake is compressed but it is better not to compress the cake too tightly as more loosely-packed leaves allow the circulation of air inside the cake and facilitates the fermentation process. In bigger tea factories, the pressing is done with the help of a hydraulic press. The final step is to take the tea out of the cotton bag and let it dry, then wrap it in tissue paper to allow Pu-erh cake “breathe” and easily absorb humidity during storage, which is the necessary condition for further post-fermentation. The resulting tea is called YOUNG RAW PU-ERH TEA. Its name in Chinese is Sheng Cha, meaning “raw tea”. 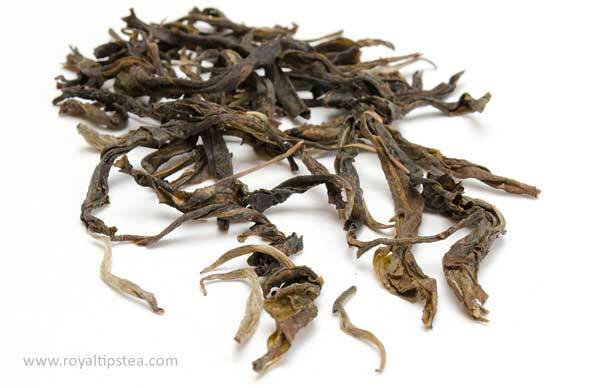 Because it has not yet had time to mature and develop a smoothness of flavour, it often has the characteristics and qualities of green tea and presents a certain level of astringency and bitterness. In about 7 to 10 years, the colour of the cake will start to darken slightly and undertones of dark fruit and vanilla begin to appear in the tea´s flavour. Such tea is called aged Raw Pu-erh tea. The longer the tea is allowed to age, the darker, smoother, and more honeyed it will become. 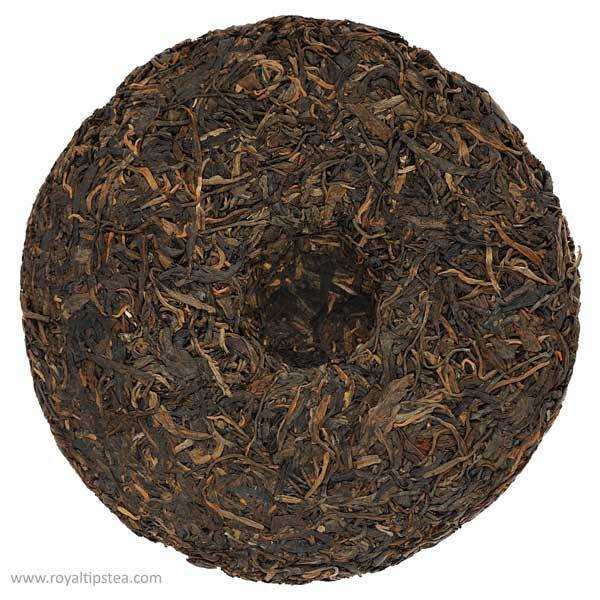 Just as with fine wines, the value of an AGED RAW PU-ERH TEA depends in great part on the quality and nature of the tea leaves as well as their terroir. The longer it is stored, the higher the value and the price will be. A handcrafted, artisan Pu-erh tea made from high quality raw material can age for decades or even hundreds of years, with its flavour only improving and not deteriorating. This, of course, is an extremely rare and precious tea to find. With the start of the industrial revolution in China in 1960s, mechanized farming and tea production techniques were implemented. Large-scale manufacturing of raw Pu-erh tea was established in some of the most renowned factories in Yunnan, such as Menghai Tea Factory and Kunming Tea Factory. In the year 1972, as a response to a growing demand on the limited quantities of expensive, finely processed Pu-erh teas, a new method of Pu-erh fermentation process was developed. It allowed the tea leaves to ferment much more quickly, thus reducing the cost of the tea and producing larger quantities in a shorter time. What was intended to be an alternative way of post-fermenting Pu-erh teas, turned into a totally new way of producing Pu-erh tea, and involved a process called “wo dui”, meaning wet-piling. A tea, produced according to this method is called COOKED, RIPENED, OR RIPE PU-ERH (Shu Cha). To produce Shu (Ripe) Pu-erh, loose leaf maocha is not steamed, but heaped, sprayed with water and covered with a cloth or plastic sheet. The temperature inside the pile of tea soon starts to rise, indicating the beginning of the accelerated fermentation process. Where Sheng Pu-erh needs years for the fermentation to take place, Shu Pu-erh ferments in just a few weeks or months. Although the flavour of the Ripe Pu-erh tea can never develop the level of complexity of Raw Pu-erh, it is still a good tea to enjoy, full of earthiness, wood and wet forest notes that are the result of the chemical changes provoked by moulds and bacteria during the fermentation process. As a general rule, all teas should be kept away from air, heat, direct sunlight, moisture and strong odours. The unfavourable storage conditions may adversely affect the flavour of tea, making the tea taste plain and dull, and considerably reduce the tea’s quality and health benefits. Tea easily absorbs moisture and strong smells, so it is highly recommended to store it in an airtight container, so that its taste properties and aromatic compounds can be maintained for as long as possible. Exposure to air, heat and direct sunlight will also have a negative effect on tea and it will quickly loose flavour and go stale. Most of the above tips also apply to the storage of Pu-erh tea; however, there are certain variations from the common rules due to the fact that post-fermented teas continue to develop their flavour over time. Pu-erh tea experts distinguish between two types of storage conditions for Pu-erh tea: WET STORAGE and DRY STORAGE. Traditionally, as the compressed tea made its way towards Tibet through the thick and misty Yunnan forests along the ancient Tea Horse Road, the rainfall and high humidity levels accelerated the ageing of the tea leaves. Thus, it was considered that Pu-erh tea needs a lot of moisture in order for it to ferment quickly. The increased level of humidity in Hong Kong warehouses, where much of the tea was stored for trade with tea dealers throughout China and the rest of the world, was therefore considered ideal for Pu-erh tea storage. On the other hand, “dry storage” is a relatively new concept in the long history of Pu-erh tea. It is nowadays employed by Yunnan’s major tea factories, where a constant, but lower level of humidity is maintained and strictly controlled by the tea producer. The humidity is required for micro-organisms to reproduce and induce complex changes in the tea´s composition and flavour. The oxygen, in its turn, helps to create metabolic reactions with the help of enzymes that convert the astringency into a mellow and sweeter flavour. Under these conditions Pu-erh tea will age much more slowly, and unique and delicious flavours will have more chance to develop naturally in the tea leaf. Raw Pu-erh is a very special kind of tea. It undergoes a natural and slow post-fermentation process which improves the flavour over time. The storage conditions affect the process of ageing, and if carried out properly, enhance the tea´s taste and aroma. It is not desirable to store Pu-erh tea in a sealed, air-tight bag or canister, as, without humidity or air circulation, the fermentation process will not take place properly. In order for Pu-erh to age naturally, it requires a certain amount of warmth, as well as oxygenation and a controlled level of humidity, ideally ranging from 70 to 80%. It is advisable to store Pu-erh tea wrapped in the same paper in which it left the factory, and placed in a cardboard carton or a wooden box. The transformation of a raw Pu-erh into an aged Pu-erh tea will happen very slowly, and the most amazing thing is that it can be appreciated by, from time to time, breaking off a small quantity of the compressed leaves with a special tea knife and see how the flavour has gradually changed over the years and how new sweet, fruity notes emerge, adding complexity to the liquor. 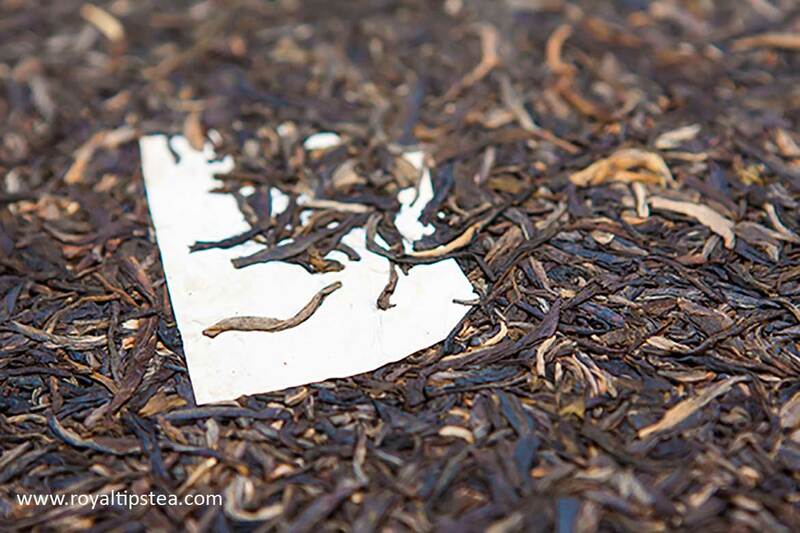 Loose leaf Pu-erh tea, which is also rapidly growing in popularity, especially the one from ancient tea trees, requires similar storage conditions. Unglazed Yixing clay containers are ideal for Pu-erh tea storage, due to their unique porous composition. The peculiarity of a ripened, pile-fermented Pu-erh tea is that it has already reached the maximum fermentation stage during the processing, and its characteristic earthy taste will not change very much with the passing of time. Although at some point in time its flavour will degrade, it can still be stored for longer than other types of tea such as green or oolong tea. Generally, ripened Pu-erh is not stored for more than a decade. It is therefore perfectly fine to keep a ripened loose leaf Pu-erh tea in an air-tight container, whereas ripened Pu-erh tea cakes should be stored in a wooden box. Pu-erh has always been an inherent part of any Chinese tea ceremony. 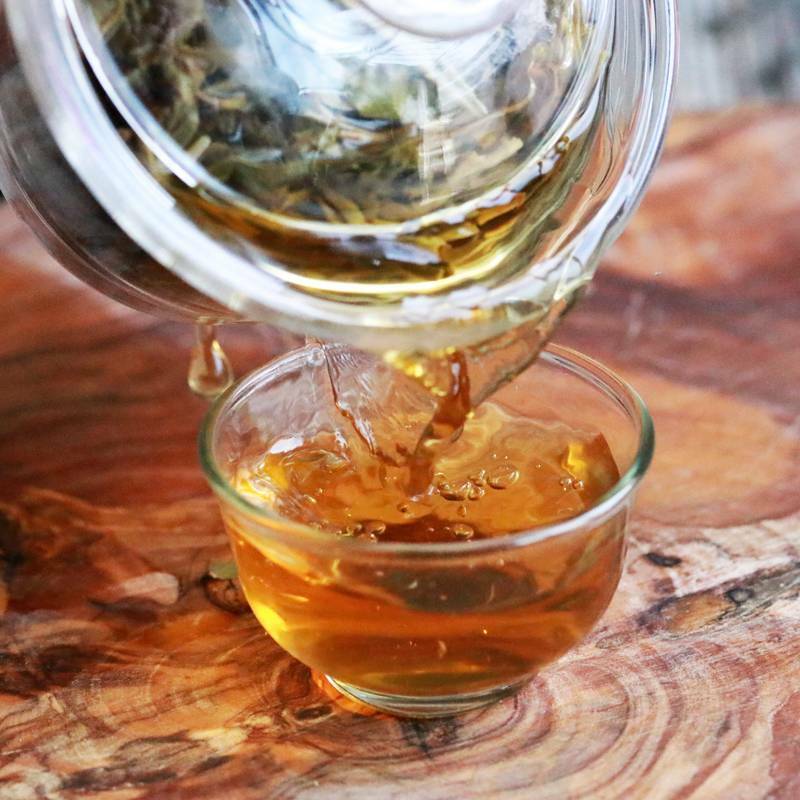 It is best enjoyed when brewed Gongfu style, which consists in infusing larger quantities of tea leaves for a shorter time, when compared to the Western brewing method. 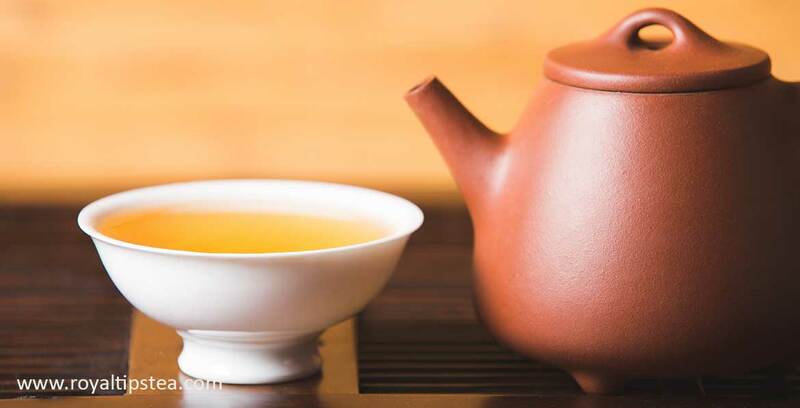 This particular way of brewing tea has been used by Chinese people for more than a century and is aimed at improving the skills of tea preparation to better enjoy its flavour. The thought-provoking and at the same time relaxing atmosphere of the Gongfu tea brewing ceremony is seen as creating a close connection to nature and an initiation into the sublime “Art of Tea” drinking. The Gongfu, also called Kung Fu, tea brewing style consists of making multiple short infusions, and each one of them is savoured slowly to admire and enjoy the emerging flavour nuances that will change from one brew to another. Because Pu-erh is such a particular and unique tea, its qualities and flavour complexity unravel gradually with each brew, starting with earthy or woody notes then often evolving into fruitiness and sweetness. The long debated terms, such as “cha qi” (茶氣), meaning “tea´s vital energy”, and the intense, lingering sweetness perceived at the end, known as "hui gan" (回甘), or aftertaste, are used to describe the effect produced by a high quality Pu-erh tea. 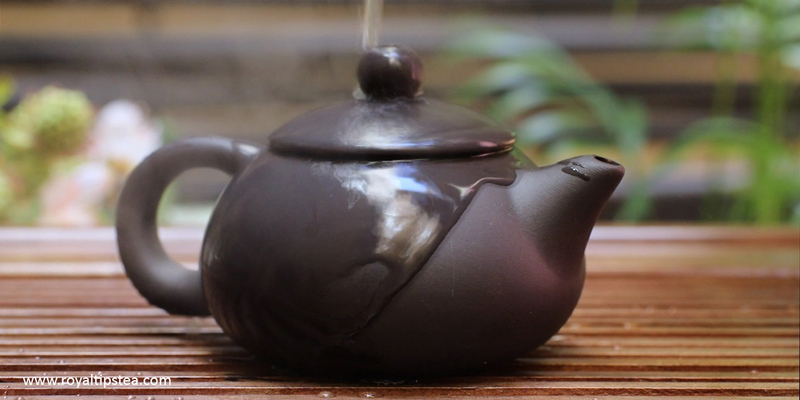 Yixing Teapots are considered the best teaware for Pu-erh tea brewing. Their unique mineral composition makes them extremely porous and helps to retain and intensify the flavour of tea, and the ability to hold heat makes them ideal for tea brewing. Water plays a key role in the preparation of tea. Spring or filtered water is considered to be the most suitable for Gongfu tea brewing. Clean water will help to bring out the true taste of tea, whereas water impurities may affect the intensity and flavour of tea, adding an undesirable odour or taste to the tea. The quantity of tea should generally be higher than advised in the Guidelines for Western brewing; otherwise the tea’s flavour might be too subtle and light due to the short infusion time. The approximate water-to-leaf ratio is around 1/20, meaning 1 g of tea per 20g of water, but the final quantity will depend on the properties of each particular Pu-erh tea and the personal preferences of each person. As the core element for Pu-erh tea production is microbial fermentation, it is highly advisable to rinse the tea leaves once or twice with the same type of water at the same temperature that will be used to prepare the infusion. The 1st (and 2nd) infusion are not meant for drinking. The purpose of this infusion is to rinse away any impurities caused by the production and post-fermentation process. It is also meant to “wake up the tea leaves”, as it is hard to extract the components from the leaves during the first short infusion. The first and second infusion time lasts only 5 or 10 seconds. The 3rd infusion can take between 10 and 20 seconds. For each subsequent infusion, the steeping time will increase gradually, with each new infusion lasting 10 to 20 seconds more than the previous one. A high quality Pu-erh tea brewed Gongfu style can yield 10 to 15 short infusions.